Get 40% off select full-price styles and an extra 40% off sale styles at LOFT. Also get an extra 60% off sale sweaters. Valid in stores and online. Since no code is needed you can use the stackable code INSIDER664 online for an additional 25% off full-price purchases of $100+. 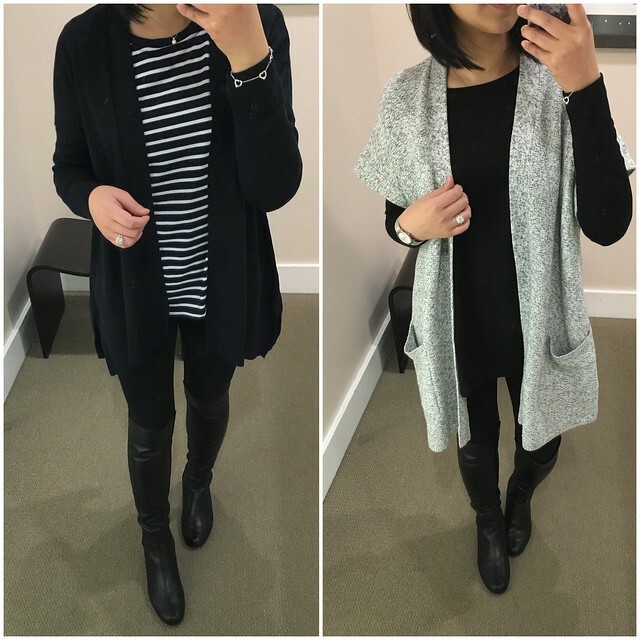 That’s a total of 55% off select full-price styles including the Lou & Grey kimono cardigan pictured up top which is currently $40.27 after discounts. I’ve been coveting this floral tile pocket blouse since I love the cold print. I tried on my usual size XSP and while the shirt fit true to size in the body and the hi-lo hem and length was good I noticed that the button tab sleeves were a bit snug and therefore uncomfortable across my forearms which measure 8.75″. I don’t usually have this issue with their pocket blouses (refer to my reviews of the dotted version here and the stripe version from last year here) so I found this rather strange. 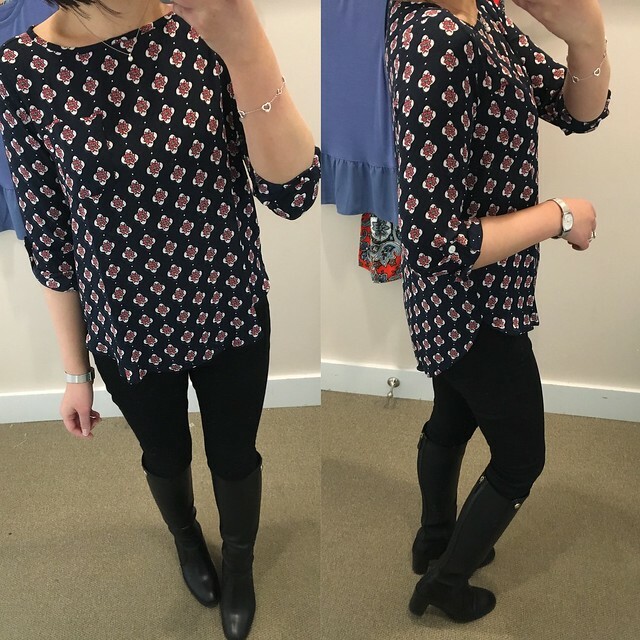 I probably need size XXS regular for slightly looser/longer sleeves but this blouse is currently not on sale. I also tried to wear it with the sleeves rolled down as you can see here. I would normally never reach for a bold print dress like this queen paisley shirtdress but I saw Megan try it on in her snapchat and it looked really cute the way she styled it. 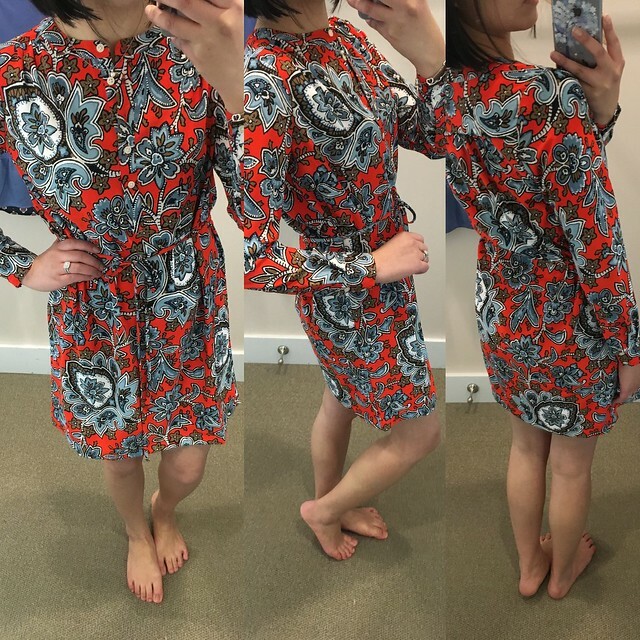 I tried it on in my usual size XSP but I found that this dress has too much material at the waist. When you tie it you can see how all the excess material bunches up (refer to the picture on left). It would look best with a cardigan over it to hide how wide the dress is. The dress hit a few inches above my knees but it didn’t feel too short and the sleeves are a good length for petites. 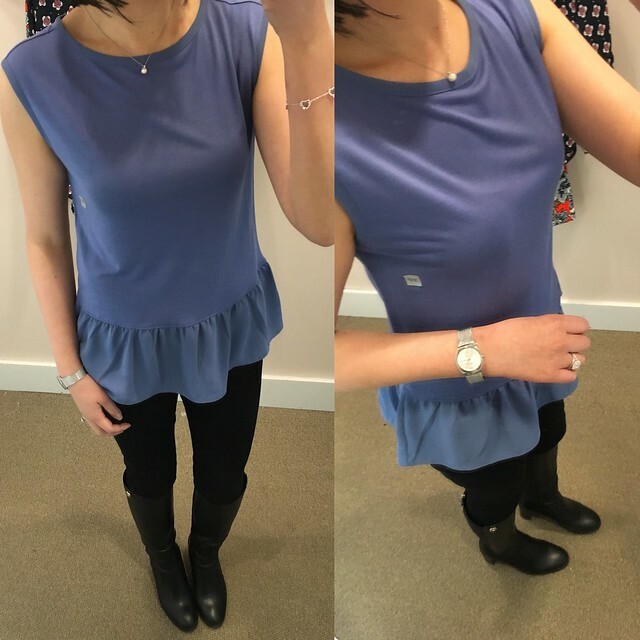 Lastly, I tried on this mixed media peplum top in XSP but I was not a fan of this one since I think it looks like a girly muscle tee. I still prefer last year’s version as seen in this old post which I own in both whisper white and black.